It’s that time of year again: the summer’s over, the harvest is coming in (barley and hops included) and Oktoberfest is on the horizon. Don’t be fooled by the name though, it actually begins in mid-September and runs until early October. You should see Oktoberfest beers appear around the same time. You can probably find them year-round if you hunt about long enough, but with a beer that’s supposed to be seasonal why would you? 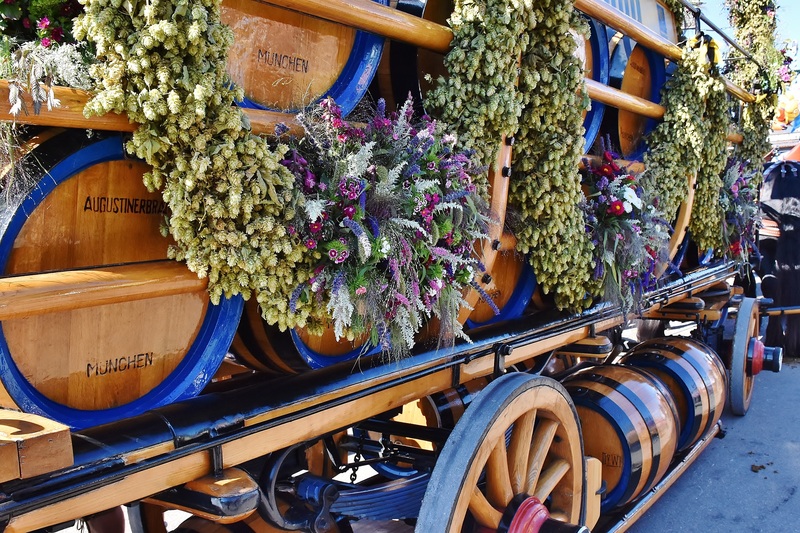 Despite sharing its name with the famous drinking festival, the beer style didn’t come along until about 50 years after the first event was held in 1810. Until then people were most likely drinking Dunkels. The Oktoberfest beers are closely related to Märzen and Vienna lagers. Apparently the style has been growing lighter and drier in recent years. In the glass you should see a bright and clear beer, dark gold to deep orange-red in colour with a good head of off-white foam. The aroma here is all about the malt – there should be no fruity esters or diacetyl and no hop aroma. The BJCP tells us that caramel aroma is inappropriate, but you might expect to pick up on it on the taste. There shouldn’t be too much though. Just like with the aroma, the flavour should be all about the toasty malt sweetness with just a hint of hops to provide balance. The finish should be dry and not sweet. The typical ABV is 5% to 6%, with a medium body and low to medium bitterness. Beers to try in this style: check out Paulaner Oktoberfest Märzen (untappd | ratebeer), or Ayinger Oktober Fest Märzen (untappd | ratebeer).